Beech House is a classic 3 bedroom stone built detached home offering a fully fitted open plan kitchen / dining area with french doors. Accessed from the hallway is the separate living area featuring a bay window and french doors to the rear garden. A cloakroom completes the ground floor. On the first floor there are three double bedrooms, the master with an ensuite and built in wardrobes. Bedrooms 2 & 3 are served by the contemporary family bathroom. A detached garage and driveway parking gives this home the ultimate in lifestyle requirement. 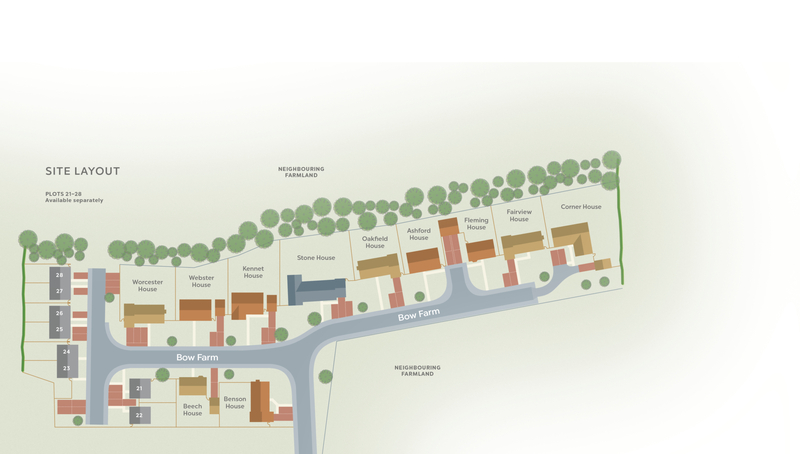 To register your interest in Beech House, Plot 20 and/or to arrange a viewing, click the button below and fill out the form. Beech House, Plot 20 is part of the Bow Farm Phase Two development. For more information click the button below.